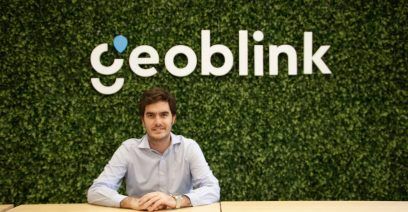 Pablo Molinero joins the Geoblink team as our Vice President of Business Development and Partnerships. Previously Director of Corporate Strategy at Iberia Airlines, he will take on a similar role in helping to define the strategic direction of our company. Pablo has an extensive educational background with a dual degree in Industrial Engineering and Management Engineering from Universidad Navarra. He also went on to obtain his MBA degree a few years later from UC Berkeley. At Geoblink, Pablo will be responsible for establishing strategic partnerships with key stakeholders and continue growing our company as we evolve. I held a short interview with Pablo to allow others to get to know our new Vice President of Business Development and Partnerships as I have. And now, without further ado, please welcome Pablo Molinero to the Geoblink team. We are happy to have you onboard! Would you tell us some more about your educational background? When starting out at Universidad Navarra in Spain, I initially chose to study Industrial Engineering. In my third year, I decided to expand my educational horizons and pursue a dual Master’s degree to incorporate Management Engineering as well. This is what allowed me to learn how companies are structured and operate and broaden my understanding of the corporate world. During the final year of the program, I studied abroad at Penn State to garner more international experience in the United States. After several years of work experience, I was accepted into the Haas School of Business at UC Berkeley to study my MBA with a strong focus on technology startups and Venture Capital. This was where I was able to combine my passion for business development and tech startup culture surrounded by the exciting energy of Silicon Valley. What about your work experience? My career began at an international consulting firm called Roland Berger where I developed international expansion plans as a Junior Consultant. A year later, I became Strategy Consultant at Accenture, helping clients from the retail and consumer goods industries implement high-performance programs to boost operational success and add value to their portfolios. It was at Accenture where I developed an innovative CSR project for Carrefour, improving the income of 50,000 low-income farmers in Ecuador. After Accenture, I decided to refocus my career with the technology sector in mind, so I joined the Commercial Finance team at Amadeus. I was in charge of developing new agreements and partnerships in countries from Africa, Asia, the Middle East and Asia-Pacific. Working closely with the key members from the aviation industry is what prepared me for my next role at LATAM airlines. When I finished my MBA at Berkeley—after my Product Marketing internship at Google—I joined LATAM airlines and was based in Chile, moving slightly away from my passion for tech. This is the biggest airline group in Latin America, and I led the team that was responsible for the growth of the company’s network which consisted of developing strong relationships with various stakeholder groups such as governments, local authorities, airports, etc. This was the position that geared me toward Iberia Airlines, the last company I worked for before joining Geoblink. Working at Iberia Airlines was a defining moment in my career where I grew a lot both personally and professionally. I began as the company’s Head of Network Strategy and was promoted to the Director of Corporate Strategy after 10 months. During my time there, I developed Iberia’s 5-year strategic plan, led the team that managed our routes to make them as profitable as possible and supported the CFO and the CEO in the profound transformation that was taking place in the company. 2017 was recorded as the “best year in Iberia’s history” for investors which translated into a 12.2% return on invested capital, making Iberia one of the greatest turnaround stories of the entire airline industry. In this sense, Iberia was really like a startup in its own way where new ideas were encouraged to make it the forward-thinking brand it is today. Why did you choose Geoblink and what do you hope to get out of the experience? The technology startup scene in Spain has evolved at an accelerated pace over the years. From the time I spent living abroad until I moved back—the difference is just really night and day. Not only is Location Intelligence a cutting-edge technology, the energy at the company is contagious. 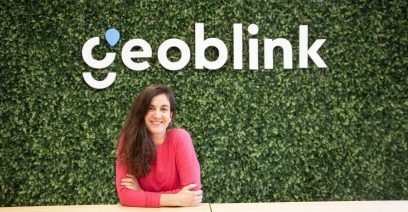 Everyone on the team strongly believes in what we’re doing and knows it makes a difference which was one of the main reasons that drew me to Geoblink. 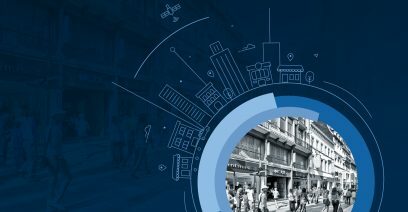 I had been following the startup for a while, impressed by how much Geoblink had grown and achieved substantial amounts of investment in just three years of existence. I knew I wanted to be part of a talented team like that—with people who know how to push the company forward and have built an incredible product with vast international potential. What I hope to get out of working at Geoblink is to help the company grow in both a strategic and sustainable way. This means boosting our presence in the markets we are present in, expanding into new territories and establishing partnerships with important stakeholders to guide our development as a company. Last question: What is your favourite activity to do outside of work? Apart from being a dedicated husband and loving father to my four children (three boys and one baby girl), I like to play soccer a lot. I am also an active videogamer. The gaming industry is an entire subcultural group that fascinates me—and if you don’t play, you aren’t really aware of its existence. If I have to name some of my favourite games (I have so many), I would say they are Overwatch, Legend of Zelda, The Last of Us and Red Dead Redemption. There are too many amazing video games out there to just pick one! Thanks for taking the time to have this interview, Pablo, and welcome to the Geoblink team. We are excited to see what the future has in store for us and are thrilled you’ve jumped on for the ride.